As the economy across the United States continues its slow improvement, many cities across the nation are experiencing a boom in real estate development. From residential to public transit to public works, developers are bidding on and undertaking large projects. Before beginning any new project, it is important that a developer understands the extent of its insurance coverage and ensures that it has adequate insurance to address the particularly unique circumstances involved with real estate development. While most developers have a commercial general liability policy, such liability policies, even though broad in scope, ma y not fully protect a developer against all of the risks it may face during development. For example, commercial general liability policies respond to claims involving bodily injury and property damage to third parties, but often do not provide coverage for damage to the developer’s own property. Large and small real estate developments can take months or even years to plan. Often there are several officers, directors, and employees involved in the inception, negotiation, and implementation of these projects. Real estate development professional liability insurance is unique in that it insures against those usual services and transactions conducted by real estate developers. More specifically, a real estate development professional liability insurance policy can provide coverage for “wrongful acts” committed by a developer during the preparation, negotiation, transmittal, and awarding of design and construction bid packages; while obtaining proper permits, variances, consents, and easements; related to management, supervision, and coordination of design and construction; and regarding other issues with real estate agents, title companies, and property managers. In many major cities, residential and commercial real estate developers have turned to redeveloping abandoned industrial spaces as a way to transform cities and command large returns on investment. (An example of this type of project is Washington, DC’s soccer stadium slated for Buzzard Point in the Southwest quadrant of the city.) The EPA has labeled many of these sites brownfields. Not only do these unused and underperforming lots require special remediation, but the EPA imposes additional demands aimed at safeguarding the environment when developing these projects. The risks for brownfield sites are unique and numerous, such as: the risk of finding unknown environmental contamination that requires clean-up; the risk of being found liable for damage to natural resources; the risk that contaminants may be inadvertently released from the site during the clean-up process; the risk of cost overruns due to unforeseen contaminants or an ineffective remediation plan; plus government regulation that adds or requires additional remediation. While many excess and umbrella policies contain pollution exclusions, which can leave large gaps in coverage, environmental insurance can play a pivotal role in real estate development by limiting risks and protecting a developer’s project from unexpected costs. Construction projects face many challenges. One of the biggest challenges that real estate developers face is maintaining the construction schedule. Since construction projects adhere to strict schedules, both owners and contractors want to avoid delays. 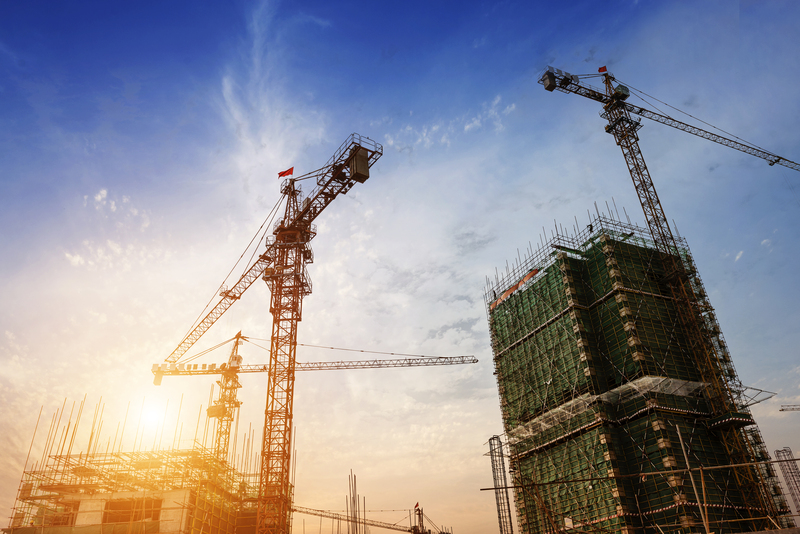 Builder’s risk policies were created to ensure a quick resolution if a property claim occurs on a construction project, and therefore aids in minimizing delays to the overall construction project. These policies also insure against accidental loss or damage to contractors’ work and property during construction and extend coverage to equipment, materials, and supplies to be used on the project. It covers the project and can include the owner, general contractor, and subcontractors. This broad coverage is specifically designed to protect the work site during development. Hence, this first-party policy is often a necessary addition to the protection afforded by commercial general liability policies. An OCIP or CIP, which sometimes is referred to as “wrap-up insurance,” is purchased by the owner or general contractor of a development project on behalf of all the development participants, such as the contractors, subcontractors, architects, and engineers. Most real estate developers require all contractors working on a project to maintain individual insurance. However, relying on the individual policies of the potentially numerous participants that will be on the construction site injects a great deal of risk into a project. Essentially, a wrap-up policy wards off possible gaps in coverage between all the various parties by serving as a master commercial general liability policy. Some of the benefits of wrap-up policies are: (1) in the event of a claim, having one common insurance carrier streamlines the claims process and decreases the possibility of disputes and cross-liability suits between the various parties; (2) ensures consistency of coverage tailored to the needs of the project and all of the parties; and (3) subcontractors can be provided coverage for residential multifamily projects, which is generally excluded from subcontractor policies. If your are currently in the process of developing a project or in the bidding process for a new project, you should review your insurance coverage to determine whether your insurance program provides any of the above coverage. A “wrongful act” means an actual or alleged breach of duty, neglect, act, error, or omission committed. Next Next post: Does Your Company’s Cyber Risk Insurance Cover Cyber-Related Bodily Injury and Property Damage?